Rafael Kofman was born in Bessarabia in 1909. 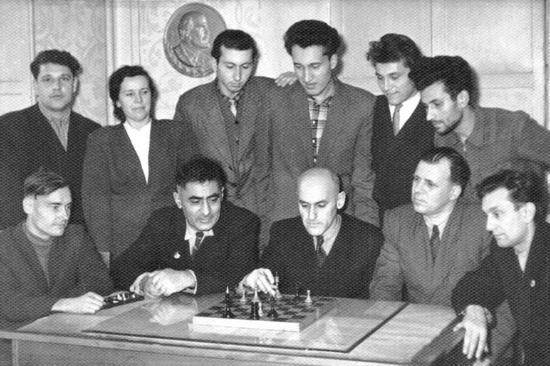 Rafael Kofman was the editor of the chess problems column in Soviet magazine "Chess in the USSR". He composed mostly direct mates in the logical and strategical style and also studies. He is the author of "Selected compositions" published in 1985 as well as of numerous other works: "Shakhmatnaya zadatsya" with Umnov in 1951, "Sovietsky shakhmatnyi etyud" in 1955 with Kazantsev and Liburkin, a collection of Loyd's problems in 1960, "Shakhmatnaya kompozitsiya 1974-76" in 1978, the integral works of GM Loshinsky with Vladimirov and Umnov in 1980, "Izbrannye etyudy" the collection of Kaminer and Liburkin's endgame studies in 1981, etc. He was also an International Judge in chess composition and a player (in a simul game he defeated Capablanca in 23 moves in 1935 and lost against Smyslov in 1942). Thanks to Vaclav Kotesovec, you may read an article by Klaus Funk "Meine Problemschach-Favoriten" with more than 1000 problems and another article "AUW Duplex Stalemates". Klaus Funk loves ideal / model mates and promotions. Exchanged promotions to B and S between the two black Pawns. 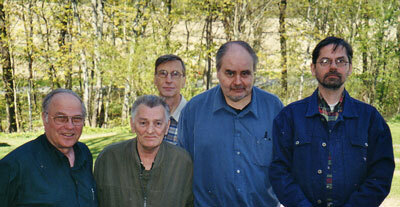 Reino Heiskanen is best known for his studies and selfmates. Neat dual avoidance after a brutal key.